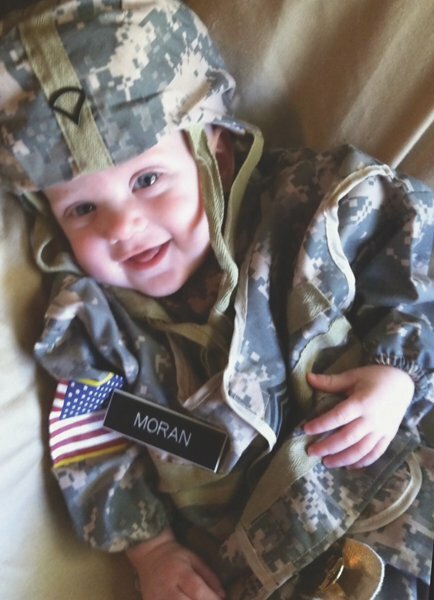 The night of "All Hallows Eve" is coming up, so we at Healing Heroes Network wanted to share some of the cutest military-themed costumes we've seen around the internet to give your kids some inspiration for the upcoming holiday. Saturday, October 13th was the 237th Birthday of the US Navy. We at Healing Heroes would like to thank all of our sailors and sea-faring service members for protecting our country. The US Navy began in 1775 as a means to protect our shores from the British in anticipation for the Revolutionary War. While considered extrememly dangerous, seeing as the British had the most advanced navy at the time, the US Navy had mixed results. They experienced some successes capturing British ships, but also suffered many losses. Our Navy would go on to provide support in conflicts from War of 1812 to the current wars. With the mission "to prepare and conduct prompt and sustained combat operations in support of the national interest," we trust our Naval forces will keep us safe and protected. Again, Healing Heroes Network would like to give a big THANK YOU to all our service members in the US Navy. Help HHN Win a Grant! Healing Heroes Network has been nominated as a finalist for the Mike Alstott Family Foundation Grant, but we need your vote to help us! With the grant, we would be able to help kickstart our Welcome Home, Hero program to help our warrior families. Many veterans struggle with the transition from military to civilian life. 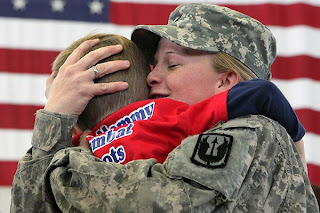 The Welcome Home, Hero (WHH) program at Healing Heroes, helps to aid this transition by providing financial assistance to military families of wounded heroes for basic needs, including but not limited to food, shelter, and clothing. Once an injured veteran comes home, there are many changes for the individual as well as their family. Healing Heroes Network is dedicated to healing the whole hero; by providing short-term financial support for their basic life needs, we are able to help these brave service men and women get a leg up while returning to more productive, fulfilling, civilian life with their families. When we help improve the lives of our veterans, we improve the quality of life for their families, communities, and our Country as a whole. But before we can help these veterans and their families, we have to win! And only YOU can help! Just "Like" the Mike Alstott Family Foundation on Facebook, and then click on the Grant Contest button underneath the cover picture. Then find where Healing Heroes Network is, and VOTE! It's as simple as that. You can only vote once per day, but you can vote daily until October 15th. Show your support of our troops and vote for HHN today!